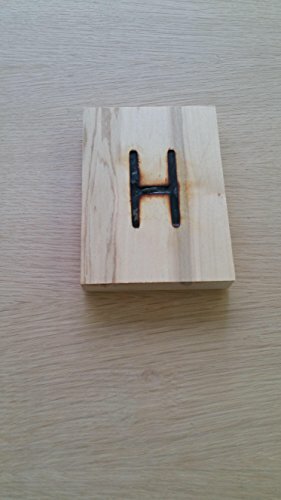 These 1 letter branding iron is custom made with a handmade letter H. The H is approx. 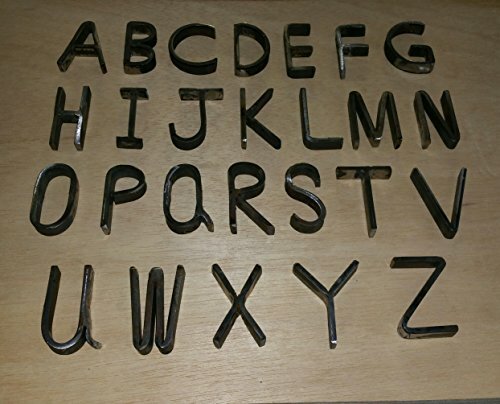 2 3/8" tall , and made of 3/16" by 1/2" solid steel stock,with solid 1/4" diameter steel handle, topped with a 1" diameter by 4 1/4" long burnished wooden grip, to end up approx. 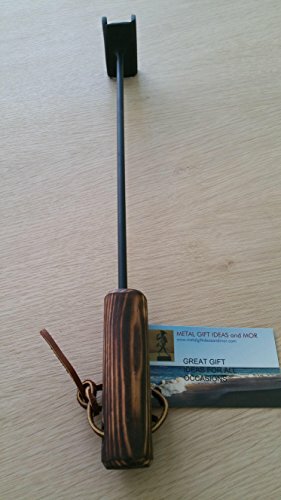 15" long.